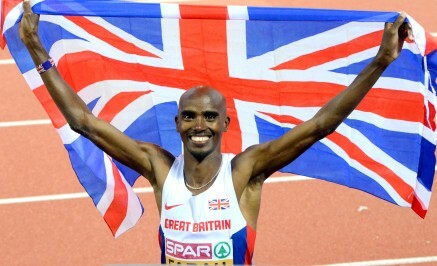 20th February 2016 – Double Olympic champion Mo Farah (GBR) delighted a partisan home crowd with victory in the 3000m at the final leg of the IAAF World Indoor Tour in Glasgow. Running tactically astute as ever, Mo controlled the race and despite facing the previously undefeated in 2016 Augustine Choge strode to a comfortable win in 7:39.55. This completed a PACE double in the 3000m events as earlier in the meeting Nancy Chepkwemoi (KEN) won the womens race. This was a much tighter affair and Nancy was pushed all the way to the line but she managed to take the win by just 1/100th of a second and record new personal best figures of 8:49.06. Also right in contention was Stephanie Twell (GBR) who comfortably achieved a World Indoor qualifying standard by finishing fifth in 8:50.24. For Nancy this followed victory over 1500m in Athlone just three days earlier. There was a remarkable coincidence in the mens 1500m as for the second year in a row at this meeting the Kenyan duo of Bethwel Birgen (KEN) and Vincent Kibet (KEN) were given exactly the same time. On this occasion Bethwel was given the verdict by the photo judge, placing third with Vincent fourth and both runners given 3:37.55. In the mens 800m Michael Rimmer (GBR) ran a seasons best of 1:47.67 to place fifth. Michael was another athlete who competed after running in Athlone on Wednesday where he won the 800m.